Having detailed his many artistic pursuits once before in a book back in 2012, Pharrell has now readied another volume of his accomplishments for release next month. 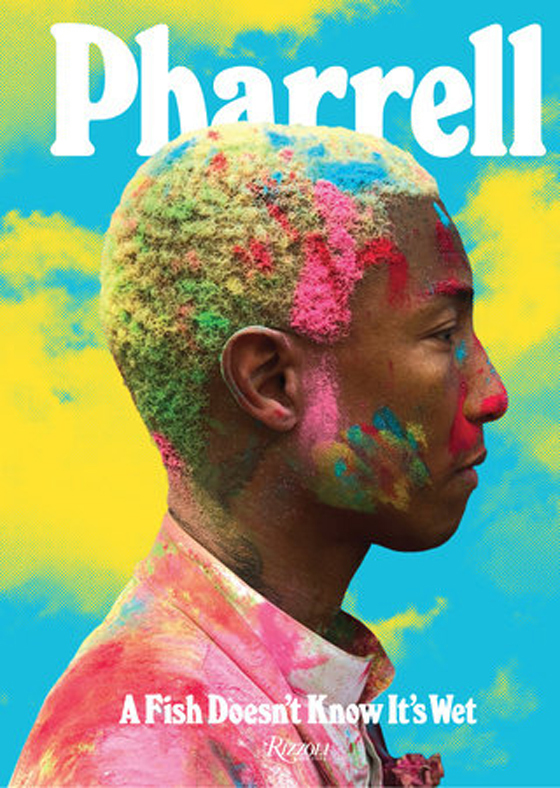 Titled Pharrell: A Fish Doesn't Know It's Wet, the book will arrive through Rizzoli on November 6. Containing 250 photographs and illustrations, the 284-page book chronicles Pharrell's "prolific and ever-expanding body of work in a graphic language all his own." Like his 2012 book, Places and Spaces I've Been, A Fish Doesn't Know It's Wet credits Karl Lagerfeld, Janelle Monáe, Taraji P. Henson, Takashi Murakami and Sarah Andelman for contributions to the book. A Fish Doesn't Know It's Wet is said to highlight Pharrell's "recent projects and designs for Chanel, Moncler, Moynat, and Adidas," in addition to "the visual language that Pharrell has built around his Ice Cream/Billionaire Boys Club clothing line, which integrates streetwear into the design of apparel, accessories, limited-edition toys, and skate graphics." Pharrell: A Fish Doesn't Know It's Wet is available for pre-order here. Lately, Pharrell has lent his production chops to albums by Travis Scott and Ariana Grande.